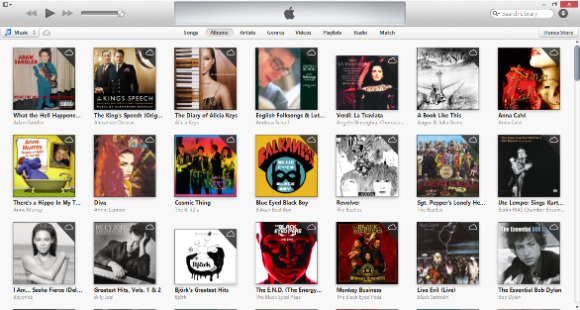 For the past ten years, Apple’s iTunes has been the go-to music and video manager for Windows and Mac users. If you use a Windows RT tablet or are partial to the Windows 8 modern UI, however, iTunes is not available to you; a touch-centric version of Apple’s desktop software has yet to appear in the Windows Store. That won’t change in the near future either, according to Tami Reller, chief financial officer for Microsoft’s Windows division. Despite courting from Microsoft, the Mac maker is not interested in putting iTunes on Windows 8. “You shouldn't expect an iTunes app on Windows 8 any time soon," Reller recently told CNN, dashing the hopes of longtime iTunes users everywhere. "iTunes is in high demand. The welcome mat has been laid out. It's not for lack of trying." Reller’s comments were part of a larger conversation when the Windows co-chief said Microsoft expects the Windows Store to offer versions of nearly every major iOS app title by the fall. At first glance, iTunes may not seem like such a big deal to replace. And to a certain extent it’s not, with available alternatives such as Microsoft’s built-in Music app or Nokia Music to manage your library. These applications are fairly basic, however, and don’t offer the familiarity of iTunes. 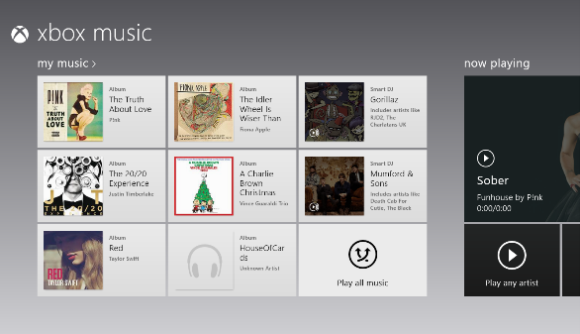 Xbox Music -- the current audio solution for Windows 8 users. Apple’s software is also more than just a media manager, it’s a well-established ecosystem including a digital content store with more than 500 million paying customers, many of whom run iTunes on Windows. For millions of longtime iTunes users, missing Apple’s music software is a pain. An RT tablet, for example, can’t download the desktop version of iTunes, so any music purchased from the iTunes Store is inaccessible. RT users are also locked out from playing any movies or TV shows purchased from iTunes, since these items are protected with iTunes-specific DRM. A Windows 8 tablet can run iTunes on the desktop, but using mouse-and-keyboard software on a touch device is hardly ideal. To underscore how important iTunes is to PC users, unnamed sources inside Microsoft say iTunes is one of the most searched-for applications in the Windows Store, according to The Verge. Here at PCWorld, we recently ranked iTunes as one of the most glaring no-shows in the Windows Store. With Windows 8 usage estimated at 4 percent for all PCs worldwide, it may not be worth Apple’s time to create an iTunes app for Windows 8 just yet. But will it ever be? If Windows 8 tablets capture more of the market, Apple may not want to risk putting a marquee piece of software on a wide range of devices competing with the iPad—similar to Microsoft's reluctance to port Office to the iPad. So unless the Windows modern UI becomes as compelling a platform as the Windows desktop that Apple simply can’t ignore it, Windows-based iTunes fans may be out of luck. At least for now, Windows 8 users must rely on the desktop app, while Windows RT users will have to get used to living inside Xbox Music and Video instead of Apple’s iTunes. This story, "Microsoft desperately wants a Windows 8 iTunes app, but Apple's in no rush" was originally published by TechHive.